It's your last chance to put the oy in joy! Hanukkah ends this weekend. And if you haven't already been singing it, you can all start gloriously singing the 12 days of Christmas. Twelve drummers will be drumming, eleven pipers piping, nine ladies will be dancing and even the partridge will be shaking his tail feather this weekend. There's lots of fun parties, concerts and outrageous holiday fun in full swing. Here are this weekend's picks. Visit with animals for the holiday season. No, we don't mean your dysfunctional family! (hehe) Real animals. 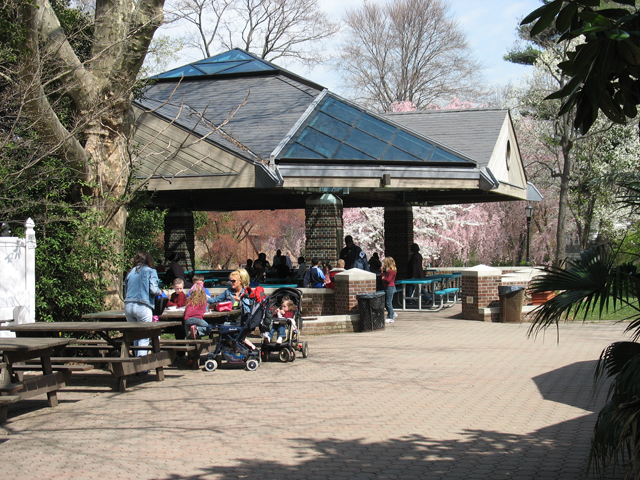 Join the Staten Island Zoo for a hot breakfast buffet, a tour throughout the zoo and a picture with a very special guest. A paying adult must accompany a paying child. Children under 3 years of age are free. Pre-registration is required. The special breakfast takes place on Saturday from 9:30AM to 11:30AM and the cost is $20 for members and $24 for non-members. Don't get left at the station. Hop aboard for family fun on the upper west side of Manhattan. Everyone can create train-inspired art, hear tales of the rails, enjoy a family self-guided train scene hunt, and learn about the history of trains. On Saturday from 1:00 to 3:00PM Conductor Bob will tell fun stories, play silly games and of course have a train whistle. The train fun takes place on Saturday from 10:00AM to 6:00PM and on Sunday from 11:00 AM to 5:00 PM. Adults admission is $15, Kids (5–13 years old) cost $5, Kids 4 and under are free. Like winter? Like to party? Great. 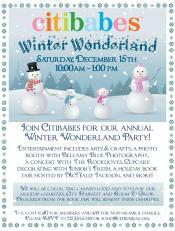 Then you are all set to join Citibabes in Soho for their annual Winter Wonderland Party! Entertainment includes arts & crafts, a photo booth with Bellamy Blue Photography, a concert with The Rockdoves, Cupcake decorating with Junior’s Fresh, a holiday book fair hosted by McNally Jackson, and more. in addition to the partying and fun they will be collecting canned food and toys for the holiday charities, City Harvest and Room To Grow. Proceeds from the book fair will go to benefit both of these charities. The fun takes place on Saturday from 10:00AM to 1:00PM. The cost is $10 for members and $35 for non-member families. Celebrate the holidays with El Museo. You and your family can join them for fun holiday activities including crown-making, a parranda sing-along (the Puerto Rican version of Christmas caroling-thanks Google!). 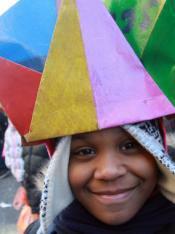 Three Kings photo booth, storytelling, Kwaanza dance workshops, and a concert by the El Sistema music group. There will be exhibitions on view and plenty of fun for all. The event takes place on Saturday from 11:00AM to 6:00PM. It is free for everyone to enjoy. Celebrate Hanukkah with the glam rocker Moey that will "light up" the stage along with the Menorah. Moey's performance takes place at 2:30PM on the upper west side of Manhattan. The JCC also has fun going on all day long. The play space for families, game room and rooftop playground is open from 2:00PM until 5:00PM. And throughout the day there will be children's' art projects focused on Hanukkah. Storytelling, crafts, games and more. The fun takes place on Saturday from 2:00PM to 5:00PM. It is free for all to attend. You think you will get to rub the lucky stump of wood when you're there? If not, you won't need luck to have a wonderful time. Before the Apollo Amateur Night Holiday Special, Coca-Cola and the Apollo will offer a variety of holiday-themed activities and performances for all to enjoy. The festivities will include picture taking with Santa Claus, giveaways and performances by some of New York City’s best choirs. The Apollo will also host an onsite toy drive. The event takes place on Saturday from 2:00PM to 6:00PM and is free for all to attend. Y'all want some good southern cooking? Now that Paula has abandoned the butter post it's all up to us! Join Southern Hospitality in midtown Manhattan for a very special kids holiday cooking class. Treats include gingerbread cookies, cupcakes and holiday s’mores. The cooking fun takes place on Sunday from 9:30AM to 12:00PM. Tickets are $20 per child this includes admission for one adult also. Join the Fourth Annual Rockin' Holiday Party with special guest, Amelia Robinson from Mil's Trills. 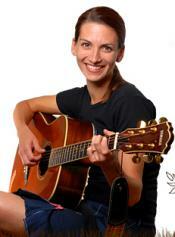 Mil's Trills is an interactive series of live performances for families with young children. Original, quirky and whimsical songs are played on the electric ukulele. And there is a rotating cast of musical guests. The amazing and talented Gumdrops and Suzi's Horn Section return to the stage, along with Suzi's Rockin' Band. This holiday concert will provide musical fun for all. Free design project hosted by Brooklyn Design Lab and food and treats for sale by Dizzy's Diner. The party takes place on Sunday at 11:00 AM at The Bell House in Brooklyn. The cost is $10 in advance and $12 at the door. Children under 2 years old are free. Bring friends and family to the fun Chanukah party at Sutton Place Synagogue in Manhattan this Sunday. Join in for Chanukah crafts, treats and a special Chanukah concert by the Mama Doni Band. The Mama Doni Band will kick it with songs like The Funky Gold Menorah and Chanukah Fever. Please consider bringing a new toy and placing it in the barrel in the lobby. The toys will then be distributed to those less fortunate who were so badly affected by Hurricane Sandy. The event takes place on Sunday at 10:30AM the concert starts at 11:00AM. The cost is $30 per family. Pretend you're a Pink Lady or T-Bird from Grease 2 and bowl and bowl and rock n roll. Help a great cause and have major fun. The PCF Bowlathon is a charitable bowling event where proceeds will be donated towards finding a cure for childhood cancer. Celebrate with free food and drinks from Lucky Strike and their corporate sponsors. There will also be giveaways and raffle drawings. The bowlathon takes place on Sunday from 11:00AM to 1:00PM. Come join the Holiday Jam! Little Club Heads is having their fun family dance party, "holiday style" this weekend. There will be lots of dancing, top DJs, face painters, clowns, cartoon characters, balloon twisters, games and special performances. The dance party takes place this Sunday at the Broad Street Ballroom in downtown Manhattan from 12:00PM to 3:00PM. The cost is $15 for two tickets for admission. Think Sundays are for wrapping up the weekend? Well you're wrong, they're for starting the week off right! The universal African Dance & Drum Ensemble will wow audiences with an interactive demonstration of traditional music and dance of Africa as it tells the story of the Kwanzaa traditions. Learn about the seven principles of Kwanzaa while exploring the roots of African dance and music. The event takes place on Sunday at 2:30PM at Flushing Town Hall in Queens. The cost for adults is $16 and $12 for members. Children are $12 and $10 for member children. Also, right before the show at 1:00 there is a Kwanzaa storytelling workshop with tales from the African traditions. This workshop is $5 and free for members. Celebrate the holiday season with the Vienna Boys Choir. It is one of the best known boys choirs in the world. Hear and enjoy a beautiful vocal performance including everything from medieval to contemporary and experimental music. The show will provide a varied evening of styles to excite every member of the family and audience. The show takes place at the Colden Auditorium at Queens College on Sunday at 7:30PM. Tickets cost between $20 and $30.